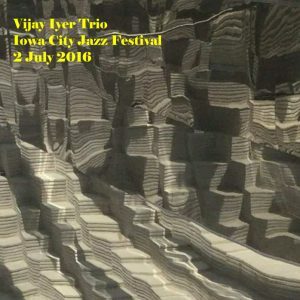 i’m not sure what made me think of vijay iyer the other day, but i ended up listening to 3 of his shows from 2016 over the course of the day today. this one features tyshawn sorey on drums, and it took some looking to find him on the internet (“titian”, “tysion”, the list goes on… there was no lineup in the original info file). each of the 3 shows had a different drummer, first the june 2016 frankfurt show had marcus gilmore on drums, then this show with tyshawn sorey & finally justin brown at the oct 2016 bimhuis show. Note: at august 2016, www.tyshawnsorey.net appears to no longer be connected to the drummer tyshawn sorey. source: schoeps mk41’s dina > active cables > nbox > edirol r-05 @ 24/48. recorded from fob/dfc. transfer: sandisk 16gb sdhc > hp pavilion > 24bit wav > sony sound forge 9.0e > cdwave editor > trader’s little helper > flac16. recorded and transferred by perks.